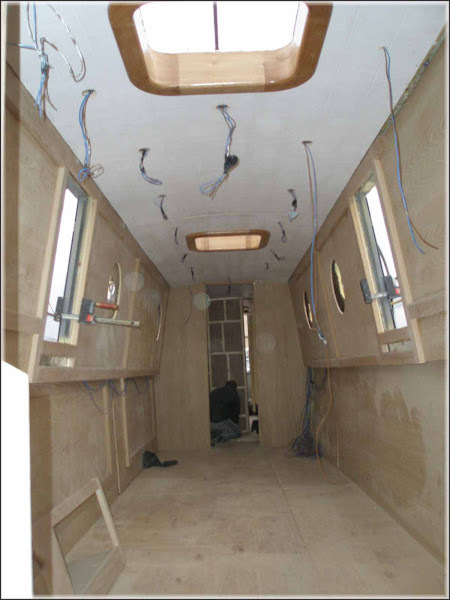 Is it possible to have glazed hinged doors mounted on the inside of the side hatches so that you can have the doors open in inclemant weather. We have sheets of plastic that clips in, but we have to remove them before closing the doors. Another possibility would be a sliding glazed unit inside the hatches. Yes, in our specification we have included glased hinged doors mounted on the inside. However I don't think I would trust them to be weatherproof in serious rain.